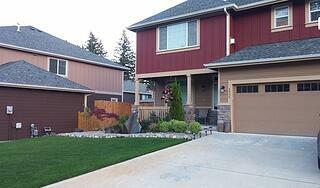 One of These Home Listings Near JBLM Could Be Good Luck for Your PCS! The month of March often brings daydreams of spring. Cheerful green shamrocks highlight St. Patrick’s Day celebrations. As military orders are released, you may be PCS'ing to the scenic Pacific Northwest and Joint Base Lewis-McChord, WA. While browsing home listings on MilitaryByOwner, you may be searching for an area with a sense of “home." Perhaps a warm and inviting community where neighbors gather and children play? Much like finding a four-leaf clover good luck charm, take a look at these four charming homes. 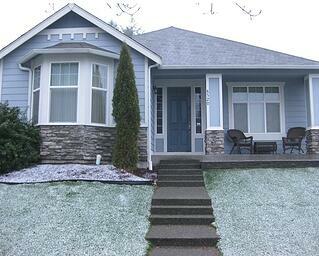 1) Chat with friendly neighbors on this welcoming front porch while children play in the generous yard. This lovely 3-bedroom, 2-bath home is tucked in a little slice of Mayberry. Neighbors are potential friends and are known to take good care of each other. Nearby you’ll find well-kept trails, a community park, and a new middle school within walking distance. A short drive up I-5 leads to Joint Base Lewis-McChord. Looking for more information about the area? Check out neighborhood reviews on Military Town Advisor. 2) Unwind with friendly neighbors on this pleasing porch with a tranquil water feature nearby. Located in a family-friendly community, this 4-bedroom, 2.5-bath home defines the term “curb appeal.” Surrounded by lush landscaping, an eye-catching cascade of water peacefully glides over a large stone. This attention to detail at the front entry echoes the upgrades throughout the property. The neighborhood offers convenient access to the Chehalis Western Trail as well as an easy drive to the gates of Joint Base Lewis-McChord. Curious to find out more? Browse comments under McChord AFB on MilitaryTownAdvisor. 3) Savor a sunset from the serenity of your porch in a friendly lakefront community. If your summertime fun includes water sports, a property at Lake Louise may float your boat. From jet skiing to paddle boating, this 3-bedroom, 2-bath lakeside retreat offers a splashing good time. Share tales of fishing for trout with friendly neighbors in this established lakefront community. A leisurely drive past Fort Steilacoom Park leads to nearby Joint Base Lewis-McChord. Need a professional to guide your house hunt? Peruse the list of military friendly real estate agents in Northwest WA on MilitaryByOwner and MiitaryTownAdvisor. 4) Plan a gathering with stunning waterfront views from this wrap-around porch. Perfect for entertaining, this 2-bedroom, 2-bath waterfront home boasts multiple decks and porches with postcard views of the mountains and Puget Sound. Follow stairs from the backyard to a cabana and private beach. Catch up with friendly neighbors at the Brownsville Marina nearby. 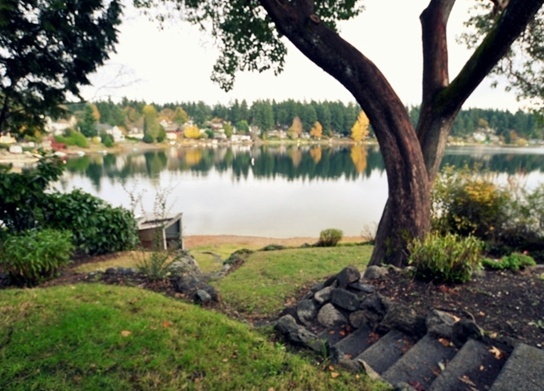 Around an hour from Joint Base Lewis-McChord, this Port Orchard Bay retreat is minutes away from Naval Base Kitsap Bangor and Naval Base Kitsap Bremerton. Searching for more details? 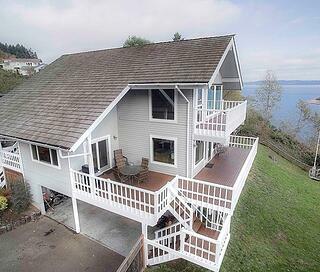 Take a peek at what's available near Naval Base Kitsap on MilitaryByOwner. As highlighted here, the area around Joint Base Lewis-McChord offers a wide variety of neighborhoods to choose from. Along with the easy-to-use property search features on MilitaryByOwner, you may feel like you’ve found a pot o’ gold at the end of the rainbow!